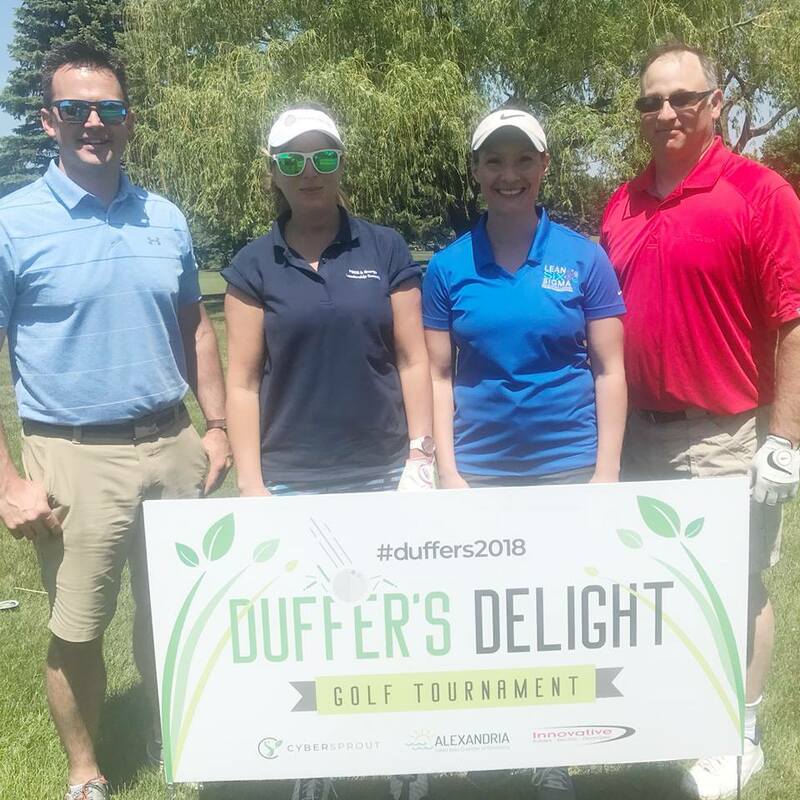 The 27th annual Duffers Delight Golf Tournament was held on Monday, June 4 at Alexandria Golf Club. More than 200 people gathered for a day of fun, networking and golf, including 36 golf teams and 41 sponsors. The tournament featured sponsors at every tee and green and three hole-in-one opportunities including a $5,000 cash prize sponsored by Alomere Health, $10,000 cash prize sponsored by Glenwood State Bank and $25,000 toward a vehicle sponsored by Alexandria Motors, Diamond Buick GMC and Juettner Motors. Unfortunately, there were no hole-in-one winners this year. Team members: Aaron Rooney, Cowing Robards, Inc.; Matthew Fischer, Bethany on the Lake; Josh Meyers, Dilley Zimny Insurance and Anthony Zimny, Dilley Zimny Insurance. 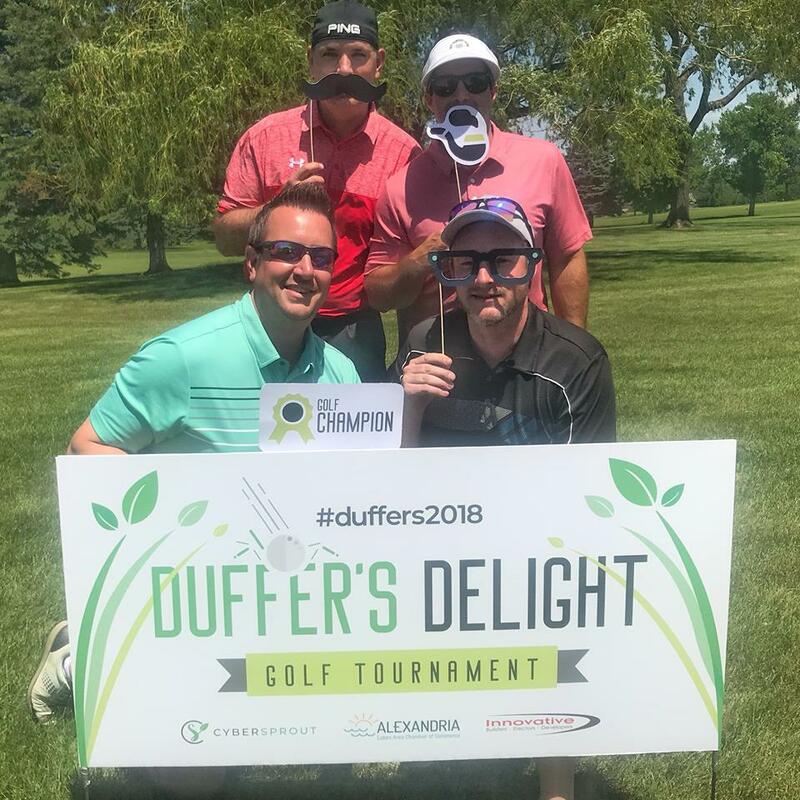 Team members: Jeff Patience, Bell Bank; Eddie Reif, Alomere Health; Derek Swedberg, Swedberg Wood Products, Inc. and Robb Buttweiler, Buttweilers Do All, Inc.